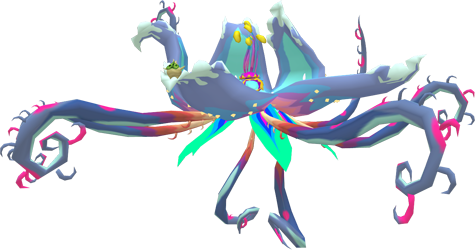 Kalle Demos is the Boss of the Forbidden Woods in The Legend Of Zelda: The Wind Waker and a parasitic plant monster. The monster is made up of two integral parts with the vulnerable head and the multi-armed bulb which is both a shield for the flower inside and also defending it. 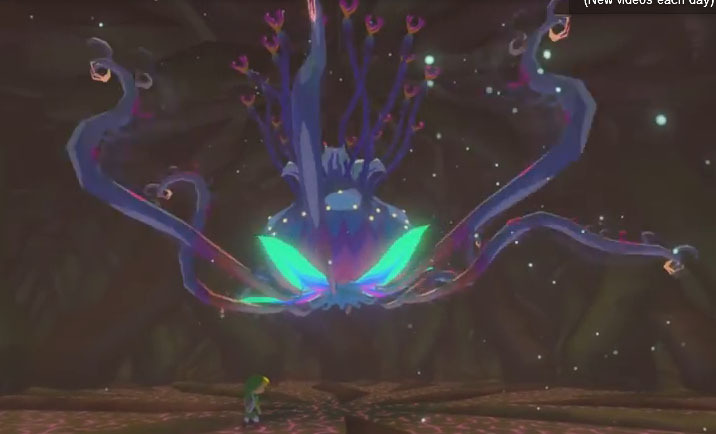 Link has to attack all the tentacles to be able to attack Kalle Demos Flower-Head and eventually defeat it and rescue Makar and save the Forest Haven. Vincent Bisschop, the artist behind the illustration picked the moment when Kalle Demos swallowed Makar and prepares itself for battle!